This poster shows the details how the American flag evolved over time. 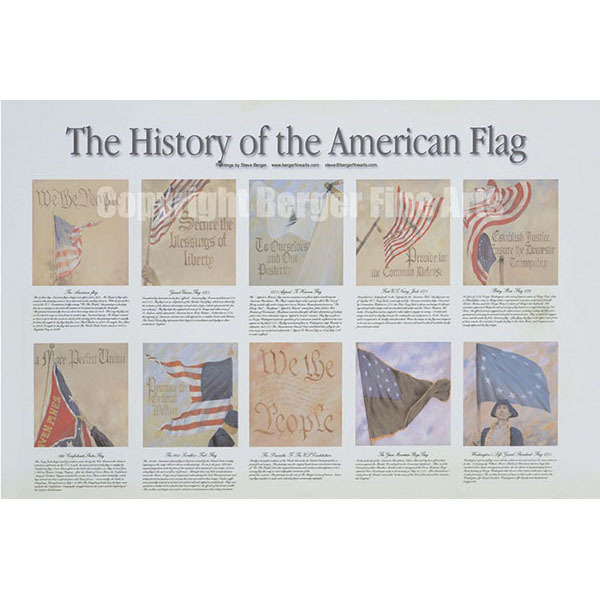 The stories that surround each flag are as interesting as their unique designs and place in American history. This 12" x 16" archival quality Giclee print is signed and ready to frame.